Home>Music> 6ix9ine's "DUMMY BOY": All Hits Or A Big Miss? When Tekashi 6ix9ine announced that he would be releasing a new album before the end of the month, he told his fans that there would be no skippable songs. For many artists, that's the main goal when creating a project. 6ix9ine went into DUMMY BOY with unrivaled confidence, warning against his impending Billboard takeover. Much of his career has been built off of chart success as he loves to remind us how he's presently undefeated. As his freedom now stands in the balance, this entire situation is a little bittersweet but one thing is nearly guaranteed: most hip-hop fans have an opinion about Tekashi. Love him or hate him, he spent a decent chunk of time on top of the world. That may change in the next year but DUMMY BOY is likely enough to hold fans over for a while. His trial is set for next September and unless his legal team pulls off a miracle, he'll be spending the next few years locked up. Will he return with the same ferociousness as before? Who knows... 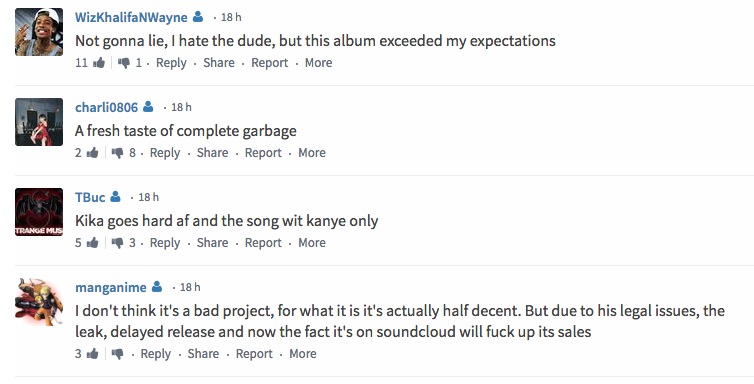 When it comes to his new album, people are taking to it pretty nicely. Even his biggest detractors are impressed with a few songs, admitting that he's got some hits on the tracklist. However, are they all bangers or did he miss the mark completely? Check out some of the best reactions compiled from HNHH commenters and social media users. MUSIC 6ix9ine's "DUMMY BOY": All Hits Or A Big Miss?